Discovery 12T, Blown film extrusion, Solutions | Contrex S.r.l. 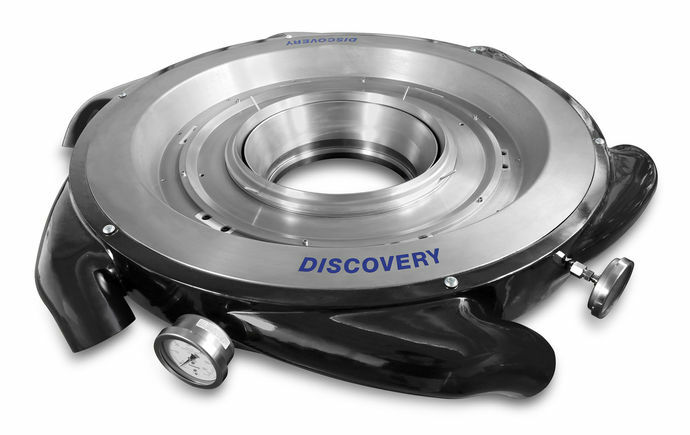 DISCOVERY 12T is an automatic dual-flow cooling ring with a sector-based thermal modulated lip that enables exact and automatic thickness regulation. Its exclusive design includes two different cooling flows to guarantee high cooling efficiency and outstanding gauge uniformity by means of cartridge heaters integrated in the first air flow. This system dramatically improves thickness tolerances along the entire circumference while also balancing out the melt flow canalization and ensuring proper die centering. Further, this cooling ring is able to maintain a consistent process despite the effect of various ambient conditions influencing the process.